In a food processor mix together the flour, sugar, salt and baking powder. Add in the butter and pulse until the butter is mixed and the size of peas. Add the dry mixture to a bowl. Stir in the peaches to coat. Whisk the egg into the buttermilk then add to the dry mixture. Stir until just incorporated. Using a small or medium cookie scoop, spoon the biscuits onto a lined baking sheet about 1.5 inches apart. Bake for approx. 26 minutes, until lightly golden. For the smoothie, pop all the ingredients into a blender and blend until smooth. You can add a few ice cubes if you'd like it extra cold. Summer fruit is the best!!! While I can’t pick my own just yet, it is nearing and even the fruit at the store is better. 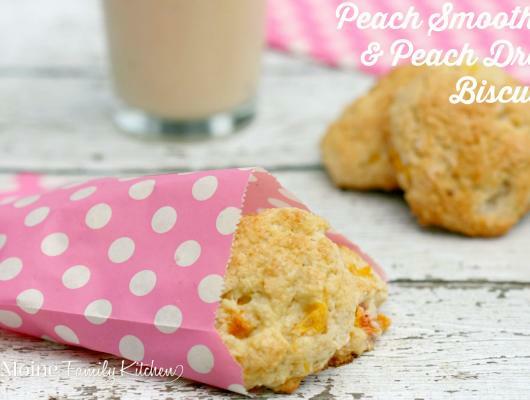 Peaches are one of my very favorites and I really do look forward to them every year. 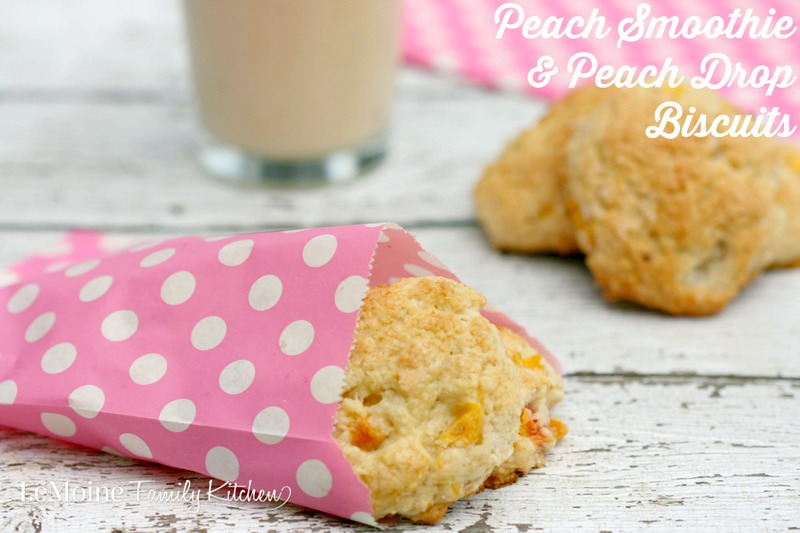 I went all out peach crazy today with a these two recipes, simple Peach Smoothie & Peach Drop Biscuits.